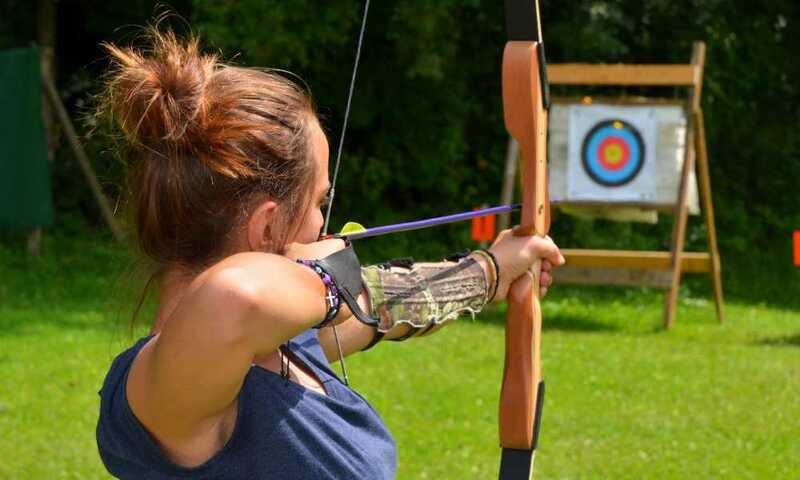 When you’re into archery, the only way to get better is by practicing. The only way to do this is by shooting at targets. 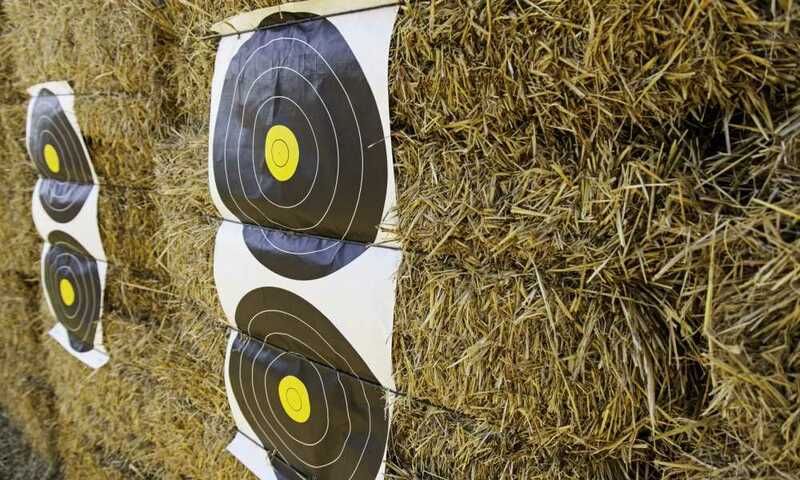 Though you can shoot at just random targets, it is better to have custom targets to shoot at. 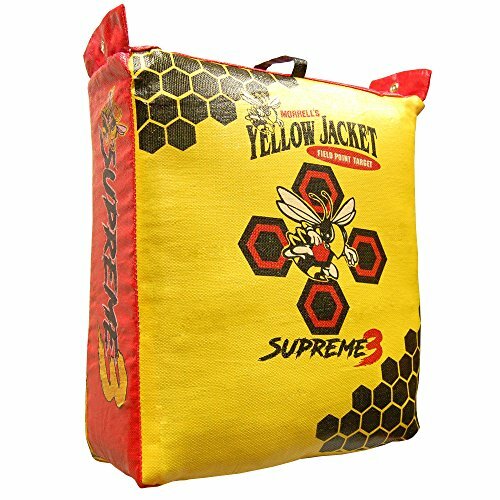 One of your current options is the Yellow Jacket Supreme 3 Field Point Bag Archery Target. Bag targets are an interesting choice. Unlike paper targets, these will last you for a long time. Plus, they tend to be a lot more solid when it comes to receiving arrows. Here are some reasons why you should consider this particular product. Multi-Layer Design. One of the big things that make this product special is its use of multilayer When you’re firing arrows, one of the things you need to be concerned about is how the target will stand up to their penetrating power. 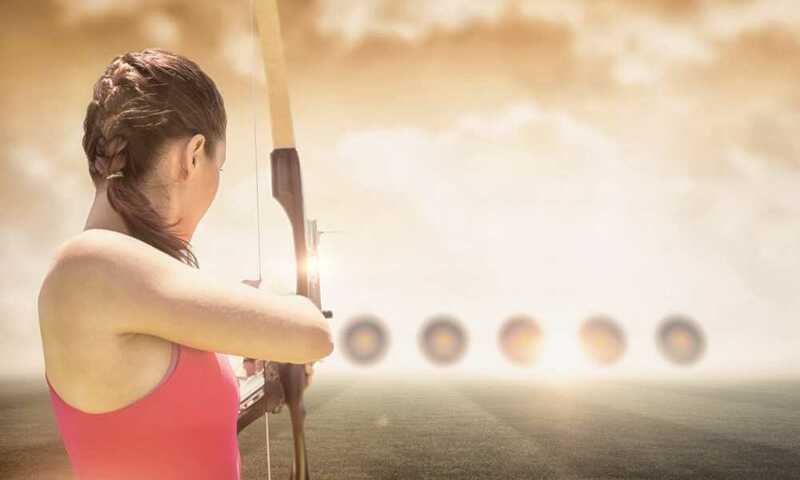 With multiple layers, the target will stop the arrow from penetrating and damaging it too much. This ensures that it will last for a long time. Easy to See. When you’re using something for target practice, you’ll want a target that will be visible from a distance away. This goal is easy to meet with the size of this target. Measuring 25 inches in height and 23 inches in width, this is a good size for a target and you’ll be able to see it clearly from a distance. Arrows are Simple to Retrieve. One of the problems with arrows is that they can be hard to pull out of a target. This is not a problem with this target. You can easily pull out the arrow with just two fingers. No worries about breaking the arrow either. Easy Transport. Bag targets are rather bulky. However, this bag is easy to transport, thanks to the EZ Tote carry handle. It’s light enough that you can carry it with just one hand. Solid Target. This is a very durable target. You won’t be needing to replace this frequently. Because of the way the target is constructed, this target can take quite a bit of punishment. 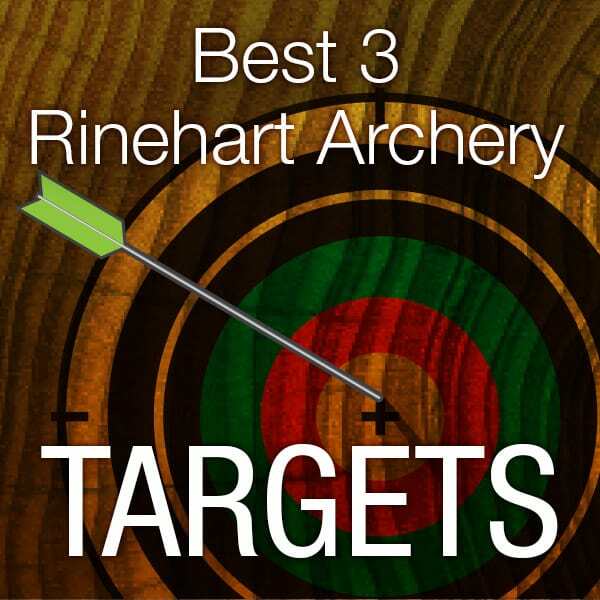 Most of the time, your targets are shredded by the number of arrows that hit them. This tears into the material and deforms the target. However, this particular product uses an Internal Frame System. This reinforces the body of the target so that you won’t have to worry about the target suddenly slumping down into something you can’t shoot at. Stops Penetration. One of the big problems that an archer faces with targets is the fact that an arrow is a penetrating weapon. This means it punches into a target. This is a problem since it can make retrieval difficult. For example, if you were shooting at a target, an arrow would dig deep into it. The result is that it would be difficult to get the arrow out. This is especially so if the arrows go through the target, you may end up needing to put a lot of effort into extracting it. This can result in arrows being broken. That’s something you don’t have to worry about with this product. It will stop arrows cold, but at a point where they are easy to draw out. Easy Hanging. Thanks to the grommets on the bag, you won’t have to worry about how to set up this target bag. All you need to do is to find a place to set it up and then just put a rope through the grommets. This should allow you to hang it from whatever location you want. There’s no need for a stand with this product. For Use with Field Points Only. There are different arrowheads available and some of them can cause quite a bit of damage. Therefore, you should only use arrows with field points with this target. They are sharp enough to penetrate but won’t cause the damage that broad head arrows would do. 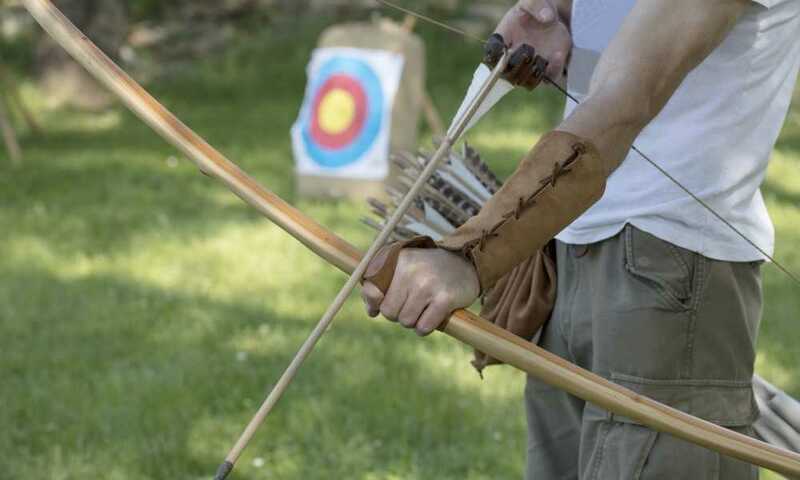 Broad head arrows or bolts should not be used to ensure that the target will stay in good shape. Also, if you use something narrower than a field point, they could end up getting stuck inside the target. 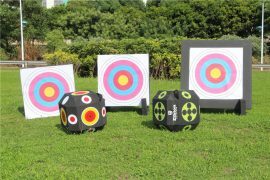 Overall,Yellow Jacket Supreme 3 Field Point Bag Archery Target is a good choice. The main reason you’d be buying it is that the target is very durable. Thanks to the way it is designed, you can put thousands of shots into the target and it will still perform very well. 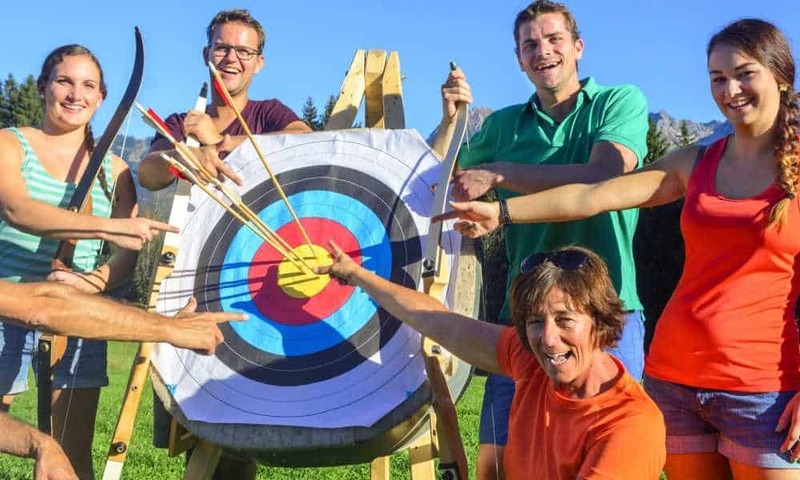 Despite being limited to field points, that is still a lot of archery practice. 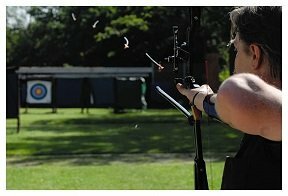 It also helps that the target ensures your arrows are still in good shape after the shot. Buy it now to get the full advantage of its use.